New Perfect Keto Chocolate available from Keto Supplements - Bringing you the latest products to support your ketogenic lifestyle. Perfect Keto Base is a beta-hydroxybutyrate salt for elevated and sustained ketone energy that helps get you into ketosis instantly. Delicious chocolate flavour! In stock and fast shipping in the UK and Europe. 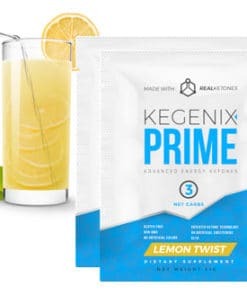 Great product for Ketosis, always see an improved reading after use. Taste is ok, I usually mix with my coffee and almond milk to form a Keto Latte. Very expensive. Far too sweet for a keto tooth! Taste is awful, would not buy again. Mixed feelings – LOVE the product, HATE the taste. Way to sweet for my liking, even when using a much less than half a scoop. I prefer the Vanilla flavor over this, and I will definitely try the other two flavors next time. Would not repurchase this particular flavor though. Love the taste! Mixes well with almond milk and MCT powder and Protein Powder to make awesome Keto smoothie after a long run.